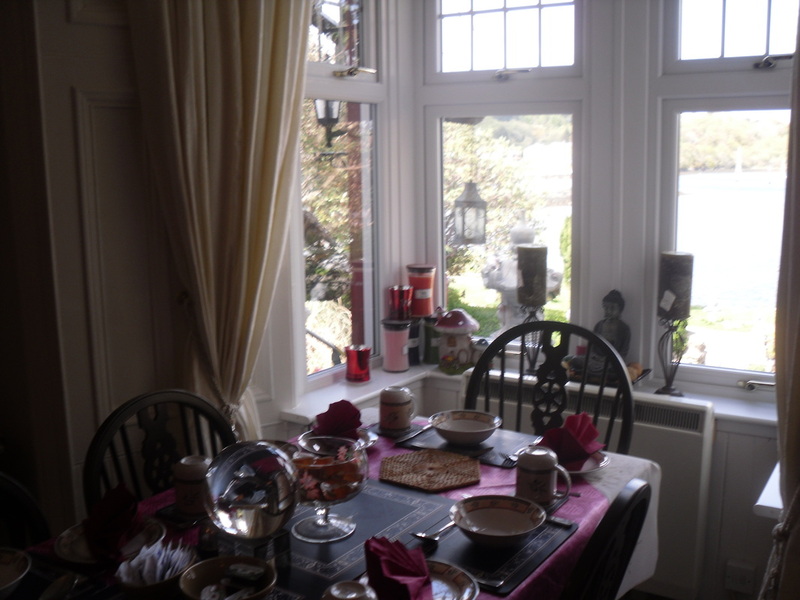 The Moorings B&B, Tarbert, Lochfyne, Argyll. 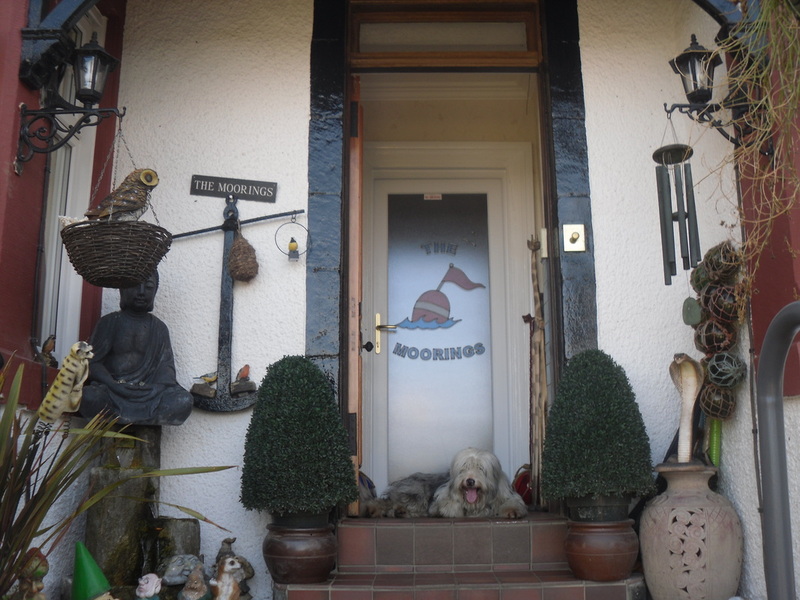 Welcome to The Moorings Bed & Breakfast, Tarbert, Lochfyne, Argyll & Bute. The Moorings Bed and Breakfast is a traditional stone-built fisherman's cottage situated within the quiet fishing village of Tarbert, Lochfyne, Argyll. The cottage has stunning views out across the harbour entrance and across Lochfyne and an idyllic garden where you can relax. Only a 2 minute walk to all local amenities, the village of Tarbert is host to several restaurants and pubs where fresh local seafood can be experienced. Situated at the rear of The Moorings Bed and Breakfast on the hill is the ruins of Tarbert Castle, which dates back to the 13th century and is known to have royal connections such as Robert the Bruce in 1325 and in 1494 James IV summoned Parliament to meet in Tarbert. All rooms within the bed and breakfast are equipped with tea and coffee making facilities, flat screen tv's with freeview. There is a strict No Smoking policy throughout the house. Small Double/Luxury Single En-Suite - this room comprises of a small double bed with its own private shower room and toilet. Located at the rear of the cottage with a view of Tarbert Castle. Family Room/Twin Room En-Suite - this room comprises of a double bed and a single bed with its own private shower room and toilet. Located at the front of the house this room is host of stunning views out onto the harbour entrance and across Lochfyne. 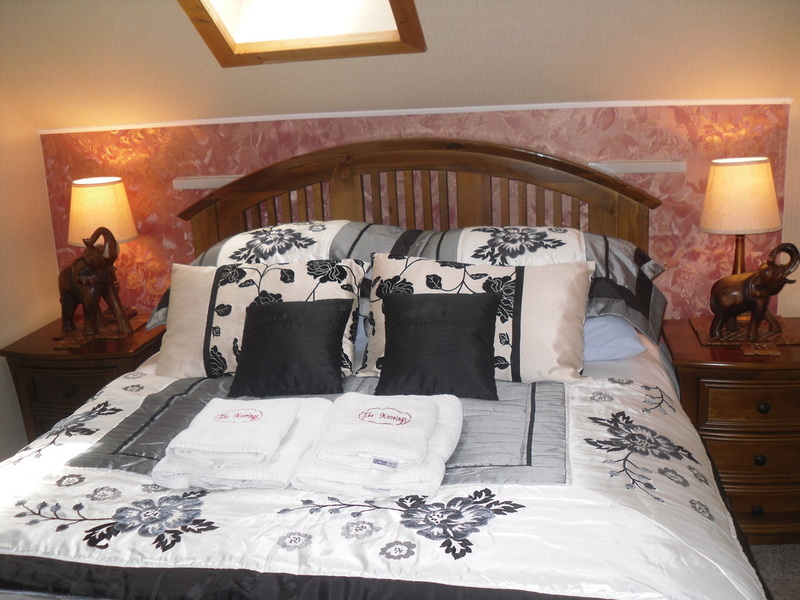 Double En-Suite - this room comprises of a large luxury double bed and has its own private shower room and toilet. Located at the rear of the cottage. Please note The Moorings is a small and cosy traditional stone-built fishermans cottage and as such has a campsile style interior (sloping ceilings) so if you require a bit of extra space perhaps this is not the place for you. Within the guest lounge there is comfortable seating in which you can relax with a book, watch TV or just enjoy the view over the loch. There is also a traditional piano with in this room. The Moorings B&B is situated at the start of the Pier Road. As you drive into Tarbert (A83) on the right hand side, you will see the Tarbert Hotel which is situated at the start of Harbour Street. Drive along Harbour Street past the working fish quay. Once past the fish quay on the left side, the Moorings is approximately 20 yards once round the corner at the end of Harbour Street. From Glasgow follow the signs for Loch Lomond heading west along the A82 until you reach Tarbet, at this point the road ahead then becomes the A83 and is sign posted for Arrochar, Inveraray, Lochgilphead, Campbeltown (the A82 continues on the right turn towards Crianlarich). Tarbert, Lochfyne is located between Lochgilphead and Campbeltown on the A83. If using a SatNav please be aware that it may try and take you via a ferry however this is not necessary if you follow the A83 via Inveraray. www.askernishbandb.co.uk - Askerish Bed and Breakfast, Port Ellen, Islay - "a safe haven right on the Isle of Islay coast"
An unspoilt landscape of glens and bays, the traditional kingdom of the Scots, the cradle of early Gaelic culture and home to some of Scotland's most sought-after and distinctive malt whiskies - Mid-Argyll, Kintyre and Islay are all these and more. At every turn, the sea-fringed West Highland landscape of Mid Argyll is steeped in history, from the pre-historic sculptures at Kilmartin and Knapdale to the elegant ducal castle of the once-feared Clan Campbell at Inveraray. But an enthralling history is not all that lures the visitor here. It is an area of outstanding natural beauty, with superb views across the water to the majestic Isle of Jura and is ideal for walking. Wildlife is abundant, and the best way to appreciate it is to walk or cycle on the many quiet roads and tracks. The Kintyre peninsula is joined to the Argyll mainland by a narrow isthmus, called a 'tarbert' in Gaelic and from which the lively fishing village and sailing haven of Tarbert takes its name. Swept by the warm Gulf Stream and studded with quiet inns and hamlets, the Mull of Kintyre has already been immortalised in song by Sir Paul McCartney and offers a glimpse of a gentler corner of Gaeldom. Its major town, Campbeltown, has a history and landscape all its own: the scene of Viking invasions at Saddell and nearby, the stunning beaches. To the west, the coast is rugged with some glorious beaches and crashing surf from the blue Atlantic Ocean. West Loch Tarbert, from where the ferry for Islay and Jura departs, has been described as Scotland’s most beautiful sea loch, whilst the tiny island of Gigha is lush, fertile and relaxing. 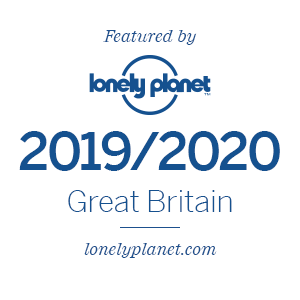 Islay is the migratory home to thousands of Barnacle and White Fronted geese, which can be viewed at the acclaimed RSPB nature reserve at Loch Gruinart. The island is also world-renowned for its fine single malt scotch whisky. Lagavullin, Laphroaig and Bunnahabhain are just some of Islay's several distilleries which welcome visitors to watch the production process and, even better, sample their delights. Across the narrow Sound of Islay, Jura is a very different island. Mountainous, sparsely populated and left to nature, Jura is a haven for wildlife enthusiasts. It's rich in red deer and birds of prey, hunting over the mountainous Paps of Jura which dominate the island landscape. In the heart of Argyll, a rare sight can also be seen: wild beavers living back in Scotland as part of the Scottish Beaver Trial.